By this time, you might already know all the ins and outs of the 4K TV. You know the HD pictures delivered with clarity and detail. The high dynamic range expands the contrast range for a brighter light color and deep blacks. Furthermore, you have already read that the HDRs accompanied with a broad color spectrum. In addition, we do not have to remind you that the 4K and HDR can make a revolutionary change to your gaming – but you still have a problem. Neither of the features works on your old TV. There are so many brands and models available and choosing one is difficult. 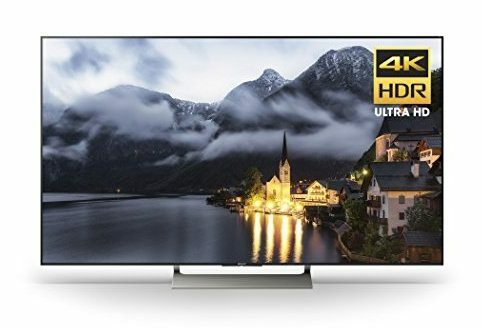 We are here to help you find the best 4K TV for your gaming. They are not only perfect for playing games; you can do loads of other interesting stuff with them. Here we have compiled a list of the best 4K gaming TVs currently available for you to buy. The review covers a mix of the finest performing sets with the best value and features. 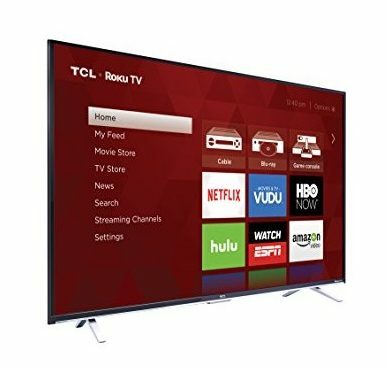 TCL is a leading brand in America and offers you the latest designs and 4K technology. The great thing is the Ultra HD Roku Smart LED TVs affordable and made for your entertainment. They have simplified the set for you to enjoy it right out of the box. The TVs HRD compatible and you can stream more than 4,000 channels featuring movies, sports, music and more. The televisions available in different screen size options: 43-inch, 49-inch, 55-inch, and 65-inch with the option of buying it with a digital antenna. Depending on the model you buy, the measurements vary. The 43-inch without the stand is 38.3-inches wide and stands 22.2-inch high with a 2.9-inch depth. You will easily get absorbed into your game with HDR (High Dynamic Range) offering you clarity with excellent contrast and detail. To make your gaming experience even better the TV has a direct-lit LED to give you an excellent picture quality. The interface is simple as there is no more need of flicking through complicated menus and inputs. Enjoy free over-the-air channels with the built-in tuner and search by actor, director, or title from one place in the Roku Search. Pair the TCL 43S405 with your mobile device for convenient streaming or use it as a remote with the mobile application. Alternatively, use the easy-to-use remote with 20 buttons to navigate through the device. For fast movie action games or movies, the set has a 120Hz refresh rate without a motion blur. Some standout features: 3 HDMI 2.0 with HDCP 2.2, 1 USB port, Composite, RF, Headphone Jack, Ethernet connection, and Optical Audio Out. The weight of the 43-inch is 16.8 pounds. Important specs are as follows: supports 802.11 ac, supports dual-band, the processor type is a CPU/GPU dual-core, multilingual on-screen-display, parental control, CVAA, two-channel x 8W, Dolby Digital, UHD resolution 3840 x 2160 and a one-year warranty. This series of TVs is exceptional for gaming as it has the lowest input lag at 15ms. For fast-paced games, it is superb and handles motion well without the blur. Another affordable 4K gaming TV is the Element Fire Edition. Enjoy playing games and live over-the-air content displayed on the home screen. However, this is only possible with an HD antenna. The sets available in four different screen sizes ranging from 43-inches to 65-inches. The model reviewed here is a 43-inch and has a dimension of 38 (W) x 22.2 (H) x 6-inch (D) without the stand. You can experience visual gaming with an 8 million-pixel clarity, brilliant colors, and deep contrast. The LED screens direct-lit and has a refresh rate of 60 Hz. Enjoy 190 channels and different apps with the built-in Fire TV and the best is still to come. You get a Voice Remote with Alexa software to control your 4K TV. Joint their prime service and receive additional content at no extra cost. There are multiple device input/outputs available: 1 USB 2.0, 1 USB 3.0, 4 HDMI 2.0, SD card, Headphone jack, Ethernet connection, composite/component, and optical audio out. The 4K TV for gaming is easy to use right out of the box. The great thing is the TV automatically downloads updates. Personalize your television for the best viewing experience. The presets are easily accessible with loads of picture options. For the best performance and speed, it has a 1.1GHz quad-core CPU processor with a multi-core 3D GPU chipset. Connect to different devices via the wireless connection or Bluetooth or use the included HDMI ports. Important specs are as follows: has 3 GB memory, internal storage 16 GB, expandable memory to 128 GB, supports 802.11a/b/g/n/ac networks, Bluetooth 4.1, one-year warranty, LCD screen, pixel refresh rate 120Hz, resolution 3840 x 2160, average contrast ratio 4915:1, input lag in game mode 70 m/s, and it has a year warranty. 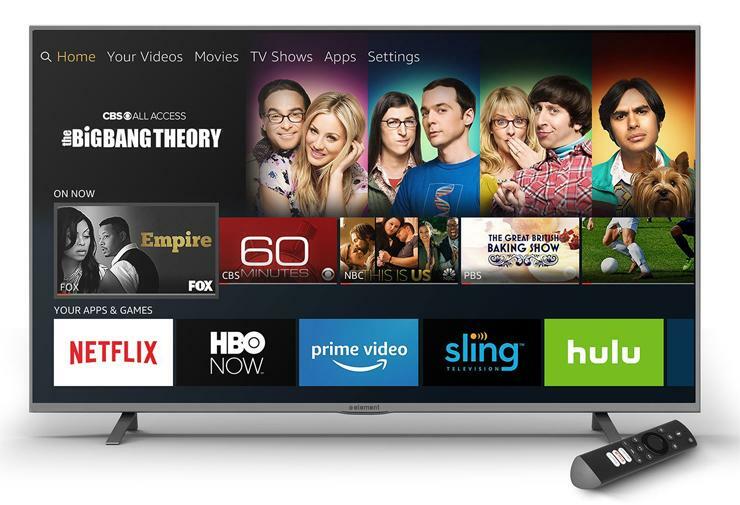 Compared to the 45-inch the Element 55-inch Fire TV Edition has the same features and qualities. The only difference is the screens larger. 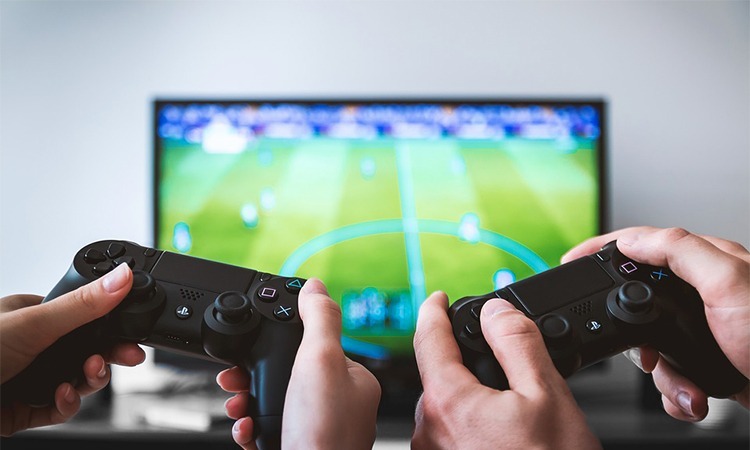 You can enjoy streaming live over-the-air content on the gaming TV with the help of an HD antenna. The 55-inch has the same 4K UHD picture quality giving you 8 million pixels to see a clear, brilliant color, and deep contrast. The screen has a direct-lit LED with a 60 Hz refresh rate. 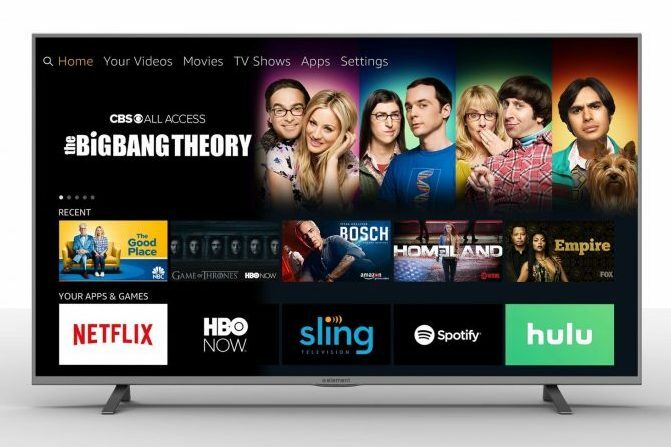 This is one of the best 4K TVs for gaming as the Fire TV gives you the option of playing online and offline games. Browse through thousands of channels and do your shopping online or enjoy the best cinematic experience. Control the television with the included Voice Remote powered by Alexa for launching apps, playback, switching inputs, search the web and TV, and control connected devices. The dimensions of the Element 55-inch Fire without the stand is 48.7 (W) x 28.3 (H) x 3.3-inch (D). There are multiple input/outputs for different devices: 1 USB 2.0 and 3.0 port, Ethernet connection, headphone, 4 HDMI 2.0 including one with ARC, composite/component, and optical audio out. Important specs to look take into consideration: LED type screen, 120Hz pixel refresh rate, resolution 3840 x 2160, Wi-Fi & Bluetooth 4.1 connection, average contrast ratio 4915:1, black level 0.07 cd/m^2, screen brightness 344.03 cd/m^2, game mode input lag 70 m/s, weighs 32 pounds, and has a year warranty. 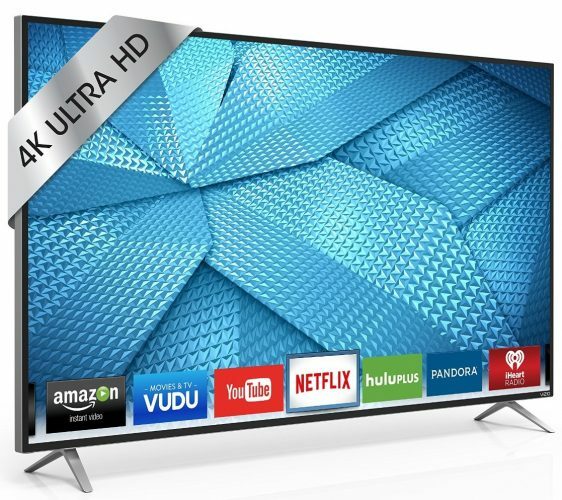 Another 55-inch that is perfect for gaming is the VIZIO P552ui-B2 4K Smart HDTV. You can experience outstanding clarity and detail as it has 8 million pixels with four times the 1080p Full HD resolution. To transform your game, movies, sports, and more the set have a special scaling engine to transform 1080p HD to 4K Ultra HD. Use the VIZIO Internet app to stream content online and access the hottest games, music, and movies. All this takes place via the 802.11ac wireless connection for the best streaming. The gaming TV has 64 active LED Zones to adjust the backlight per zone for deep tones, higher contrast, and black levels. You can connect to all the next-gen UHD devices with the HDCP 2.2 and HDMI 2.0 or connect your cable boxes, game consoles, or DVD players. The television features a full array LED screen with a 960 clear action. Minimize blurring with the P-Series and combine image processing at lightning speeds of 240Hz with the Clear Action 960. If you can multi-task, you get a 2nd screen interactivity to browse content on your mobile device and play it directly on the big screen. The remote is two-sided with a backlit keyboard to make searching easier even at night. Important features: USB 2.0 port, HDMI port, audio input, composite/component video, digital audio output, bottom side connector location, can mount it to a wall, active pixel tuning, zero bright defective pixel, dimensions 48.4 (W) x 2.1 (D) x 27.9-inches (H), and weighs 40.56 lbs. The television uses IPS LCD display technology with full array and local dimming. The resolution is 3840 x 2160 with a 4K UHD display format. There is motion enhancement technology with an image aspect ratio of 16:9. The dynamic contrast is 50000000:1 with a 178° vertical viewing angle. Furthermore, it has the following audio systems: digital audio format, Dolby Digital Plus output with surround mode and effects. The sound is amazing on the TV as it has two speakers with DTS TruVolume. In addition, you get a one-year limited warranty included. The Vizio is perfect for most SDR games, but not suitable for competitive gaming. 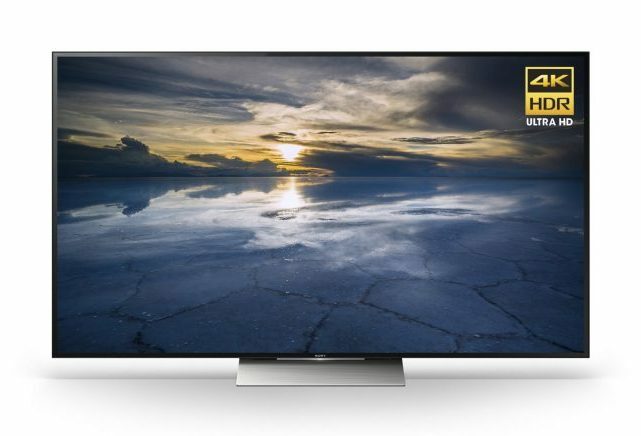 If you want to uncover perfect 4K HDR detail, you need to buy yourself the Sony XBR55X850D. With High Dynamic Range, you will see games and movies in a different way. With the combined resolution, you see pictures in clear detail, contrast, and color. The colors are superb with the TRILUMINOS display as it increases the depth of the color making it more realistic. Whether you’re watching movies or playing games the 4K Processor X1 makes sure can watch in clearly. Keep things real with the Motionflow XR960 for the best refresh rate with fast moving games and action movies. The pixels enhanced by the powerful 4K picture process so you can analyze each part of a scene. With the Dynamic Contrast Enhance, you get a visual experience of textures with brighter highlights, natural tones, and deeper blacks. The set’s design is sleek and gorgeous to fit into in space and makes a statement for all to see. With your fingertips, you have access to thousands of content online with the Sony Android TV app. The great thing is you can do this with only your voice. Connect your Smartphone and send content directly to the big screen for all to enjoy. With the easy-to-use content bar, you can find what you’re looking for. Customize the content bar according to your needs. Highlights of the XBR55X850D: 3840 x 2160 LED panels, Motionflow XR960, BR Screen Mirroring, built-in Wi-Fi, Ethernet connectivity, integrated Android TV, Android app, 4 HDMI, 3 USB, Dolby Digital Sound, contrast enhancer and so much more. The gaming TV measures 48.6-inches wide and stand 28.3-inches high with a 1.8-inch depth. The LED is Edge-lit and it has a refresh rate of 120Hz. Included with your purchase you receive a remote control, batteries, AC power cord, table top stand, IR Blaster, and a year warranty. The 55-inch TV weighs 50 pounds and has the following compliant standards: CEC, UL, and cUL. Further, it supports JPEG picture formats and supports loads of video formats. The 4K gaming TV has strong pictures and loads of smart features available for any type of gaming. The Sony XBR49X900E is one of the manufacturer’s latest editions and one of the best 4K TVs for gaming. Without the stand, the set measures 43.1-inch wide and stand 24.9-inch high with a depth of 2.5-inches. With the smart functions available, you can enter into a new world to view apps and content online, with the Sony Android TV. Connect to different mobile devices directly to the set and see images displayed with clarity and high detail with the HDR technology. Not pleased with the contrast or brightness of colors. Use the full-array local dimming to control lighting, brightness, contrast and more. The X900E has a native refresh rate of 120Hz and the Motionflow XR makes fast-moving scenes look fantastic. You can use different media devices or smart devices with the box as it has 4 HDMI, 2 USB 2.0, 1 component/composite hybrid, 1 USB 3.0 and 1 composite. With the included remote you can browse the Internet, enjoy digital audio playback, photo playback, video playback and more. The connector locations found on the rear side and compliant with UL and cUL. Included with your purchase you receive the remote, IR Blaster, batteries, user manual, flat panel mount, and a year warranty. Other standout features are the support of different audio formats, JPEG support, designed with a Channel Coverage TV tuner and has an NTSC-M reception system. The channel coverage is 1-135 cable, 14-69 UHF and 2-13 VHF. The energy consumption per year is 135 and it has an auto on/off function. The LG OLED55C7P is a 55-inch 4K Ultra HD Smart TV that is superb for gaming and extra entertainment. The dimensions of the TV without the stand are 48.4-inches wide and 28-inches high with a 1.8-inch depth. With the smart functions, you get access to different content and apps by using the webOS 3.5 app. The pictures clear with amazing contrast as the HDR make images more lifelike. The OLED pixels individually lit to give you superb contrast and image quality and require no backlight to give you a deeper black. There are four HDMI ports with three USB ports and it has one RF, Composite, Ethernet, mini jack and optical connection. For a true home cinema, experience the LG OLED intense colors with Dolby Visions and Dolby Atmos and outstanding sound. Furthermore, the TV supports Dolby Atmos playback through the Dolby Digital Plus while used with internet streaming. Additional features: slim design to fit in with any décor, can mount the set to a wall, web browsing, video and image playback, universal remote control, LG Magic Motion, 179 energy consumption per year, natural voice recognition, weighs 38.14 lbs, 3840 x 2160 resolution, image aspect ratio 16:9, wireless sound sync, and includes a year warranty. The LG C7 is the best gaming TV you can buy as it offers you the best picture with gaming-related features. The input lag is low and there is no motion blur. The response time is fast while the fluids crisp. The viewing angle’s wide enough and the sets versatile to use. This makes it the best choice to enjoy playing games with friends. This rounds up our top 4K TVs for gaming. These are currently the best sets available to enjoy playing video games. We hope that our review helps you to find an affordable one best suited for your budget. The best advice we can give you is to choose one with a 10-bit screen for the best HDR experience while using game consoles. 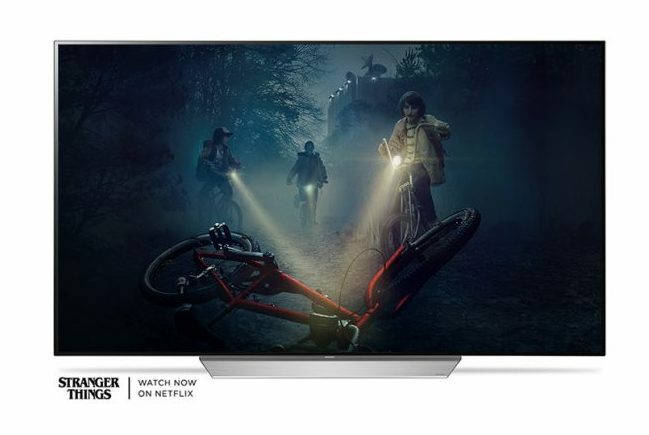 We are not saying an 8-bit TV will not deliver an excellent HDR color but with a strong video processing engine, anything’s possible.